Have you ever looked at recruitment ads for volunteer coordinators? What do our organizations think we do and what skills are they looking for? Here is a sampling of the ones I have seen lately. The Volunteer and Program Coordinator will oversee all volunteer coordination and client training activities. Duties include on boarding, training and coordinating all volunteers and providing backup support in case of volunteer absences. Must live locally and be available immediately. I love the warehouse experience, it’s usually the top skill a volunteer manager possesses. Desire to work collaboratively with staff, volunteers and clients a must. Ability to follow directions, work independently, prioritize, follow-up and accomplish a variety of tasks, projects and responsibilities simultaneously in a busy work environment. Administration: Ensures compliance and maintains records of all paperwork for volunteers (applications, waivers, clearances, etc. ); Monitors the Volunteer Coordinator email and phone number and responds to all inquiries in a timely and courteous manner; Attends meetings relevant to the Volunteer position including the monthly Program Managers meeting, monthly Development meetings, quarterly all staff meetings and others as identified. Responsible for the recruitment, training, and supervision of volunteers to assist employees in the efficient running of our organization. Maintains volunteer records and coordinates volunteer schedules. Responsible for the management of orientations, volunteer training, and liaisons with community to attract volunteers. I think I might cry at that one. 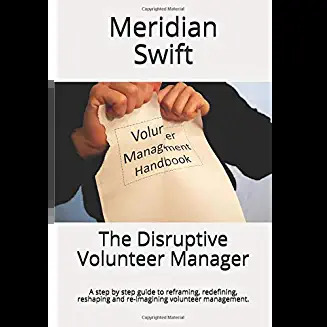 The responsibility of Volunteer Coordinator is to welcome volunteers and ensure an excellent, safe, and rewarding experience that motivates an ongoing connection as members, donors, outreach volunteers, and advocates. This person provides a superior level of customer service, representing our core values with enthusiastic professionalism. The person in this position works collaboratively with other staff to fulfill volunteer needs and deepen volunteer engagement cross-divisionally. Collaborates with department leadership in the development of volunteer engagement strategies to support organizational needs. • Lead volunteer engagement and impact strategy: As an active member of the Leadership Team, develop an office-wide philosophy and strategy of volunteerism, and provide training and benchmarks to ensure the office is increasing in capacity to engage volunteers, including professional volunteers. • Training and development of staff: Provide coaching and matrix accountability to volunteer coordinators and other employees who interact with volunteers and interns, focused on volunteer role development, recruitment, interviewing, placement, retention, encouragement, and recognition. Supervise staff members who are involved with volunteer processing and screening. 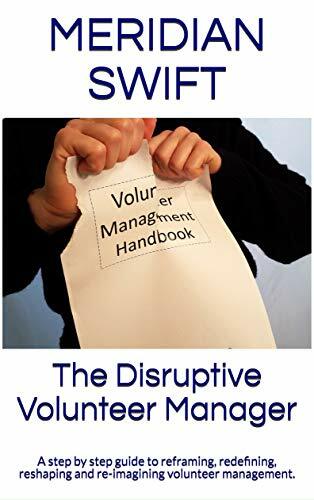 • Team Leadership: Regularly convene staff who work with volunteers to ensure shared vision and approach to volunteer support, evaluate volunteer engagement impact, collaborate around shared projects and concerns, and coordinate volunteer recognition efforts. Yes! I LOVE these folks!!!!!! Thank you for putting volunteer management on the Leadership team! Job postings can be telling. Sometimes organizations do not take a hard look at their recruitment ads, nor do they bother to update them to show that they are moving forward. I sincerely hope that organizations think about the role of their volunteer manager and at least take a look at their ads when recruiting someone who will be adding value to the mission. If all they focus on is the minutiae and not the incredible potential leadership skills needed to cultivate and engage volunteers, then they’d better plan on keeping that ad posted for a long time. Because none of us will want to work for them. Thank you for a much needed giggle first thing in the morning. The only thing I can say is that at least these organizations are hiring volunteer coordinators. Too many organizations try to squeeze it in to an already overburdened staffs existing job so it gets short shrift. It would be great to have more organizations take the volunteer program, and thus, hiring a volunteer coordinator as seriously as they take hiring a development director. Hi Laura, what a fabulous idea! If administration could just spend some time in the volunteer program, then they would see firsthand the skills and incredible talents needed to lead the volunteers. There’s nothing like seeing it firsthand. Great post, Meridian! Thank you for taking the time to go out and find actual volunteer manager position announcements- they illustrate the point so well. When you read them, you see the disconnect between the skills required and the value that nonprofits assign to this work. I hope every hiring manager reads this! Hi and thanks Elisa. I’m thinking if one of the job descriptions is being detail oriented, then maybe the job poster should look in the mirror. Reading the one that said no skills specified is a great example of the disconnect as you so aptly put it. C’mon folks! Something to watch for during the interview is the question “have you ever fired a volunteer” it is code for we have a bunch of volunteers that need firing and we want someone to do it. Confidentiality Notice: This e-mail message, including any attachments, is for the sole use of the intended recipient(s) and may contain confidential and privileged information. Any unauthorized review, use, disclosure or distribution is prohibited. If you are not the intended recipient, please contact the sender by reply email and destroy all copies of the original message. One of my favorites is when they list being a “people person” as a qualification. That’s like saying someone must like money to be a fundraiser. I would love it if you would comment on my blog about recruiting for a receptionist/volunteer coordinator (http://coyotecommunications.com/coyoteblog/2017/09/11/receptionist/) and link back to your blog here – because these two blogs are brothers from different mothers, most definitely. I’m going to keep an eye out for more job recruitment nonsense and send what I find to you so this blog can have a sequel. Loved your post BTW and thanks for linking it, hope everyone reads it, it’s a must! The sad thing is. I found those examples in a matter of 30 minutes. Would love a follow up and if anyone wants to send more examples, just use the contact form. Thx Eileen! BTW $15 an hour is roughly 11£ I think, so the pay is low too!